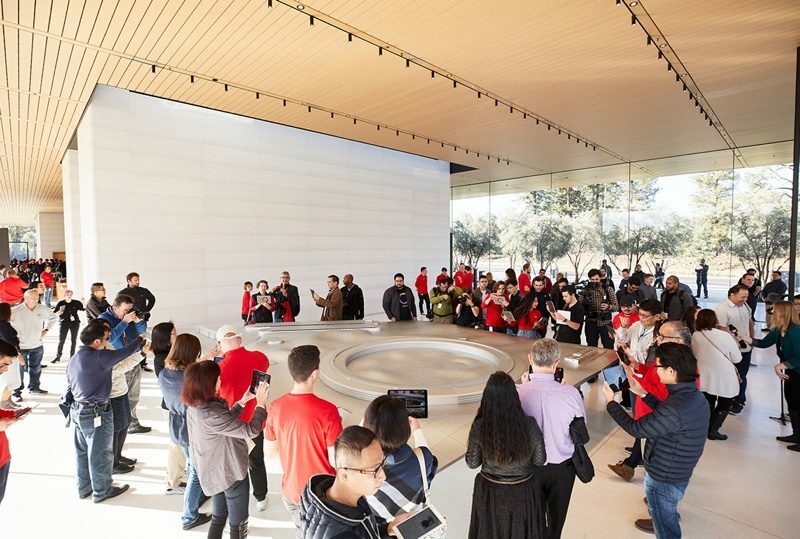 The Visitor's Center at Apple's new Apple Park campus opened up to the public this morning, allowing Apple fans to visit the Cupertino location to check out the campus and purchase souvenirs and snacks. It features a cantilevered carbon fiber roof that was designed to look like it floats, along with staircases, stone walls, and terrazzo floors that match the aesthetic of the rest of the campus. Inside, there's a large 3D model of Apple Park that provides guests with information about the campus through an augmented reality experience provided through dedicated iPads. 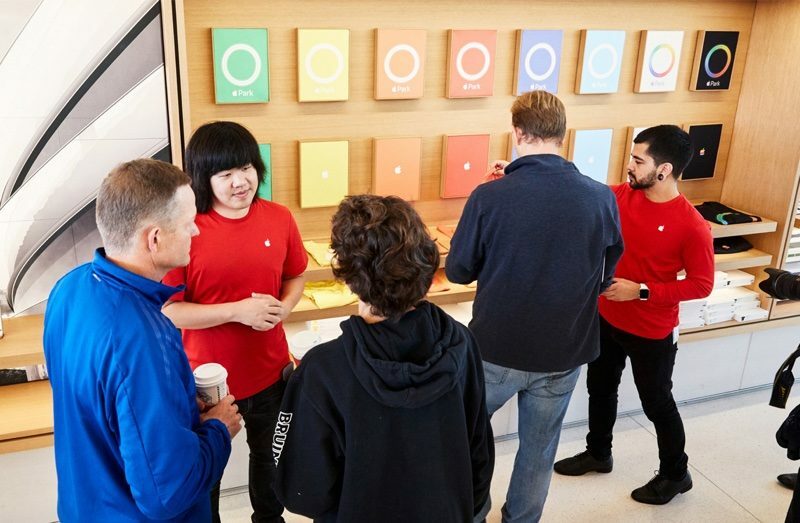 A store area offers a range of Apple products and accessories, including Apple Park-exclusive T-shirts, hats, postcards, baby onesies, playing cards, and tote bags. A cafe built into the Visitor's Center offers coffee, tea, and snacks. On the roof, there's a roof terrace that offers views of the main building and the landscaping, which includes more than 9,000 trees. 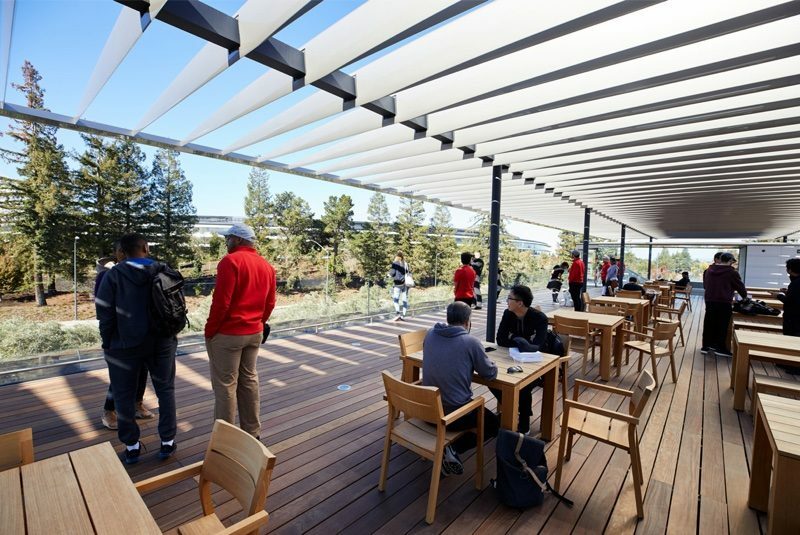 While visitors can view the rest of Apple Park from the Visitor's Center, the other areas of the campus are off limits. 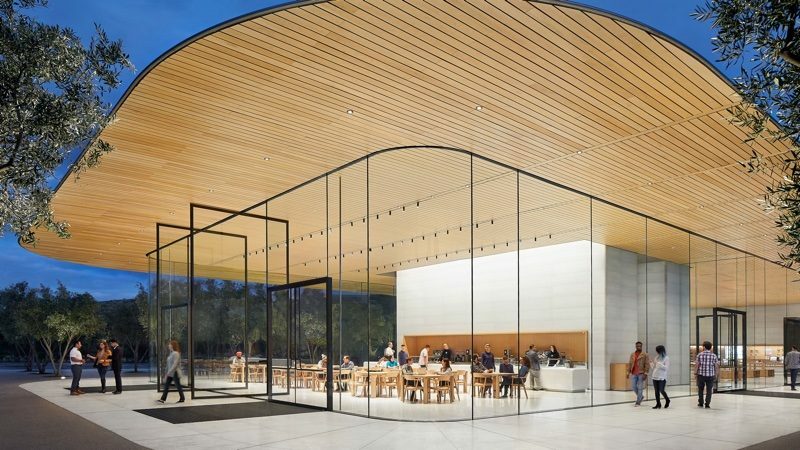 The Apple Park Visitor's Center is open from 9:00 a.m. to 7:00 p.m. on Monday through Friday. 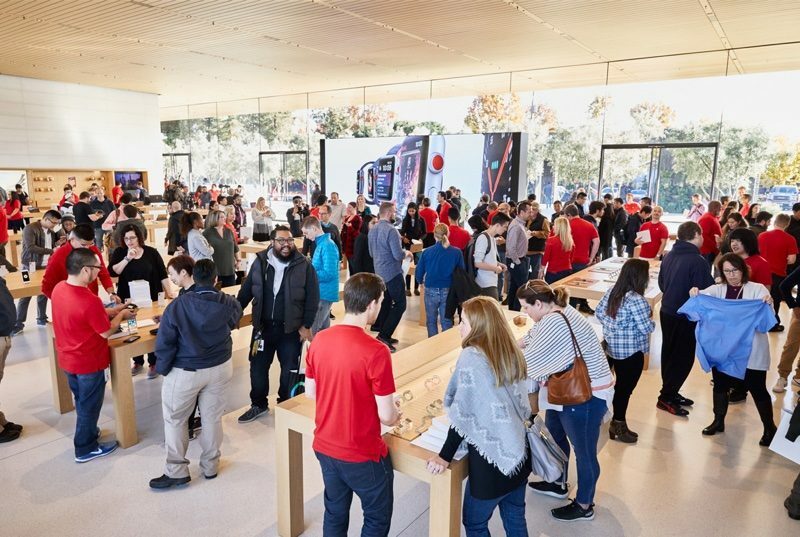 On Saturdays, it opens at 10:00 a.m. and closes at 6:00 p.m., and on Sundays, it opens at 11:00 a.m. and closes at 6:00 p.m.
That building will stand as a monument, should Apple ever find itself on hard times/broke. They’re close to being the world’s first trillion dollar company, 10 years later still have lines outside their stores for new iPhones and the list goes on. Roofs made of carbon fiber. Sigh. No wonder the iPhone X costs $1000. Carbon fiber is really nice looking, light, and strong, but it is extremely costly. If they reduced their use of unnecessary materials, then the prices of products could go down, increasing potential sales. Beautiful. I'd truly love to visit it. Divide the cost of the roof by the number of iPhone X's they've sold (and are forecast to sell) and get back to me. They are doing very well. I don't think anyone disputes that. What I find worrying is that in less than ten years, they've begun to show this smug arrogance that suggests they will be at the top forever . History says they won't. Some day someone else will come along. They always do. Observation deck ... which observes nothing more than what you can see from on the street. I will assume that a majority of the folks visiting this forum own an Apple product. So, in effect, we have collectively financed this beautiful piece of architecture and the thousands upon thousands of employees that Apple has hired to work there. Then, of course, there is all of the tax revenue that the city, state, and federal government gleans from this highly successful company. More times than not, I'm quite critical and cynical of Apple, but I most certainly see no reason why they shouldn't have such an iconic facility. So, the reason that Apple built this building is because they are a growing company and were spread out in multiple buidings across the city which is very inefficient. They also had to rent out space each year to show their new products. Now they have a campus that can hold more people (though they still will have some satellite locations), and can use their own theater each year. Could they have built it cheaper? Sure. They could build their stores plain too, instead of having glass cubes and iconic designs. But that is not the image of the company. It's not pretentious as some others said, but rather a sense of style. It's kind of funny to hear people whine about that style when they appreciate it in phones. If Apple was making some cheap plastic boxy thick phone you guys would be screaming. It makes sense for a company that puts so much energy into design of their phones do the same for their own office space. In fact, it's quite logical.